12वीं पास के लिए फॉरेस्‍ट गार्ड के पद पर नौकरी !!!! Maharashtra Forest Department Bharti 2019 Notification for 900 Vanrakshak (Forest Guard) Posts out. Check Maharashtra Forest Department Vacancy 2019 details. Know the Eligibility Criteria like Age Limit, Qualification, etc for Maharashtra Van Vibhag Forest Guard Bharti 2019. If eligible, then start applying for Maharashtra Forest Department Recruitment 2019 from 14th January 2019. The deadline to submit the Maharashtra Forest Guard Recruitment 2019 Application form is 3rd Feb 2019. Other info regarding Maharashtra Forest Guard Bharti 2019 Notification like Selection Process, Pay Scale, How to Apply, etc are shared below. Are you one among those candidates who are eagerly waiting for Forest Guard Govt Jobs in Maharashtra. Recently, Forest Department of Maharashtra has released Mahaforest Mega Bharti 2019 Notification to fill 900 Forest Guard Vacancies. In regard to the release of Maharashtra Forest Bharti 2019 Notification, the officials have invited the application forms through online mode. The Maharashtra Forest Guard Recruitment 2019 Online Registration Link opens from 14th January 2019. Job hunters who are looking for Maharashtra Forest Department Bharti 2019 can utilize this opportunity to settle in the Maha state. So, willing candidates who have met the eligibility requirements can apply for Maharashtra Forest Department Recruitment 2019 on or before 3rd Feb 2019. Scroll down the page to get the further details of Maharashtra Forest Guard Bharti 2019 Notification. Refer the official Maharashtra Forest Guard Recruitment 2019 Notification to get the detailed vacancy. In order to get eligible for Maharashtra Forest Guard Bharti 2019, candidates must have the requisite age criteria & educational qualification as mentioned below. Candidates have to possess the age criteria as mentioned in the official Maharashtra Forest Department Recruitment 2019 Notification. Candidates should have Passed 10+2 or 12th Class from a recognized board to get eligible for Maharashtra Forest Department Forest Guard Recruitment 2019. Applicants who have scored minimum 45% marks in the written examination for Maharashtra Forest Department Jobs have to undergo through Physical Examination of following weightage. Those candidates are required to submit certificates of qualification and age limit as per requirement. Candidates who not satisfying fitness criteria will be disqualified through Maharashtra Forest Department Vanrakshak Recruitment 2019 process. For Running competition, candidates are required to submit their fitness certificate. Male candidates, the running competition is of 30 minutes. For female candidates, the running competition is of 25 minutes. 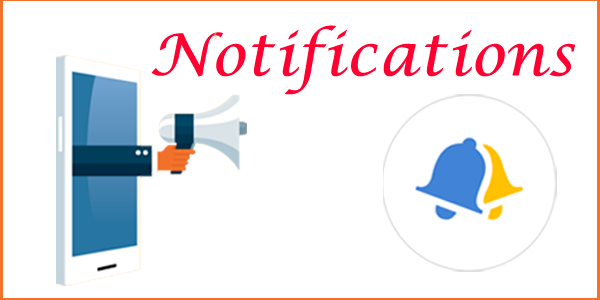 The further details of Maharashtra Van Vibhag Forest Guard Bharti 2019 Notification like Application Fee, Selection Process, Pay Scale/Salary, Important Dates, Links, etc are also shared below. Applicants of Maharashtra Forest Department Recruitment 2019 have to pay the application fee as per their category. The fee payment for Forest Department Maharashtra Jobs can be done through online/ offline mode. The selection of the eligible applicants for Maharashtra Forest Department Jobs will be based on the performance in the Written Exam, Physical Standard Test & Interview (as applicable). The officials will offer a good pay scale of Rs. 5200/- to Rs.20200/- with Grade Pay Rs. 1800/- to the selected candidates for Maharashtra Forest Gaurd Vacancy 2019. The Maharashtra Van Vibhag Forest Guard Bharti 2019 Registration Process starts from 14th January 2019 & ends on 3rd February 2019. Willing candidates can apply for Maharashtra Vanrakshak Bharti 2019 before the last date to avoid the server issues. Get the step by step process of filling the Maharashtra Forest Guard Recruitment 2019 Application form from the following sections of this page. Find the relevant tab “Maharashtra Forest Bharti 2019 for Forest Guard Posts” on the homepage. Read the details provided in the official Maharashtra Forest Department Bharti 2019 Notification Pdf. Ensure the eligibility for Maharashtra Forest Guard Recruitment 2019. If eligible, then click on “Maharashtra Mahaforest Bharti 2019 Apply Online” tab. Fill the details in the Maharashtra Forest Gaurd Jobs 2019 Notification Application form without any mistakes. Pay the application fee and upload the scanned copies of the photo and signature in the prescribed format. Verify all the details in the form & then click on the “Submit” button. Finally, keep the hard copy of the Maharashtra Forest Guard Bharti 2019 Application form for future reference. Our RRB Recruitment team has strived a lot to furnish the full details regarding Maharashtra Forest Department Forest Guard Recruitment 2019. However, we suggest you guys keep in touch with us to get further updates of Maharashtra Forest Department Bharti 2019 like Exam Date, Admit Card, Answer Keys, Results, etc.